Rents across Switzerland dropped in July according to real estate website Homegate.ch. Since the index started in January 2009, average rents across the country had risen by 13.9% over the 7 and a half years up to the end of June 2016. By the end of July the total increase was 13.7%, a drop of close to 0.2% for the month of July. The aggregate decline across the country masks some regional differences. The largest monthly falls were in Geneva and Vaud (0.9%), Ticino (0.5%) and Bern (0.5%). 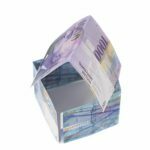 Declines in Zurich (0.3%) Solothurn (0.4%) and Aargau (0.2%) were moderate, while average rents in Basel were unchanged. 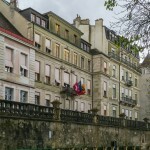 The larger decline in Geneva and Vaud could reflect the greater increase in rents in those regions since 2009. From January 2009 to the end of June 2016 rents in Geneva and Vaud climbed 22.9%, the highest rise across all of Switzerland. 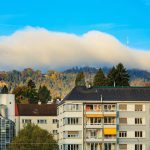 According to Homegate.ch, the current rental market contrasts with the years from 2009 to 2014 where rents rose at a constant rate of around 2.1%. This was driven by excess demand as the supply of housing failed to keep up with immigration. 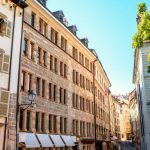 Since the Swiss franc exchange rate abruptly appreciated in January 2015, the economy has slowed, and immigration has slowed along with it, while new construction has continued at a stable pace. Looking forward, Homegate.ch forecasts rents to stay flat for the rest of the year.